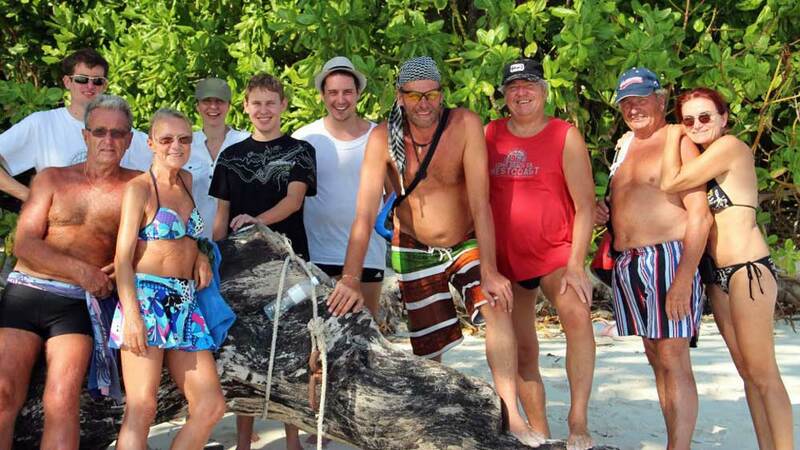 Andaman Snorkel Discovery has been operating Similan snorkeling liveaboards since June 2010. We are a friendly, fun loving and professional company providing an outstanding Similan snorkelling liveaboard unlike any other in Khao Lak. We pride ourselves on offering these unique experiences in the famous Similan Islands and are the only snorkel safari operator to visit the Surin Islands, home of the best Thailand snorkeling destinations. A Similan snorkel liveaboard with us is an adventurous, amusing and chilled out cruise through the Andaman Sea. On a three day three night snorkel liveaboard with Andaman Snorkel Discovery you will have a great time cruising through the Similan Islands, Koh Bon and Koh Tachai, exploring beautiful white sandy beaches and stunning underwater worlds. The real highlight of the trip, however, is a visit to the Surin Islands, an area not visited by any other Similan snorkeling liveaboard from Khao Lak, Thailand. 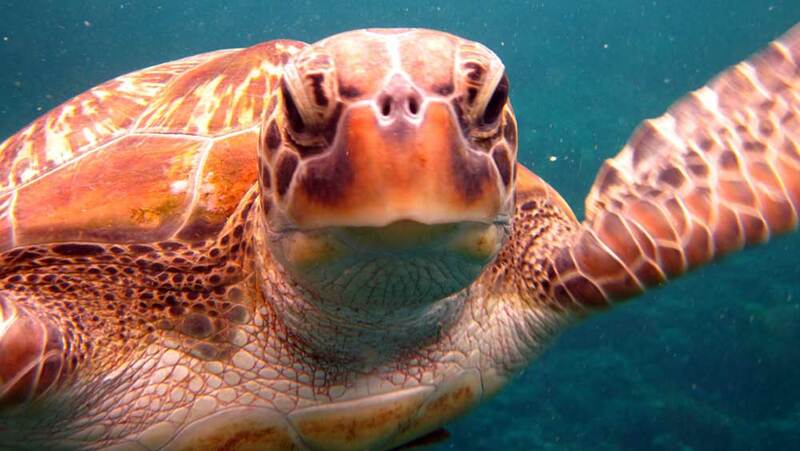 Here we will take you to some remote snorkel spots, some of which were discovered by the company owner, Ralf. We visit wonderful empty beaches, as we always plan our itineraries to avoid the crowds, and we give you a glimpse into the life of a Moken (sea gypsy) village. It’s these special and unique touches that make a Similan snorkel liveaboard with Andaman Snorkel Discovery an unforgettable Thailand snorkeling experience. Andaman Snorkel Discovery is owned and operated by Ralf and Eike Schneider, a German couple who came to Khao Lak in 2006. With some of the best Thailand snorkeling sites on their doorstep, they established this Similan snorkel liveaboard company 3 years ago, and they are still very enthusiastic about heading out on every trip. 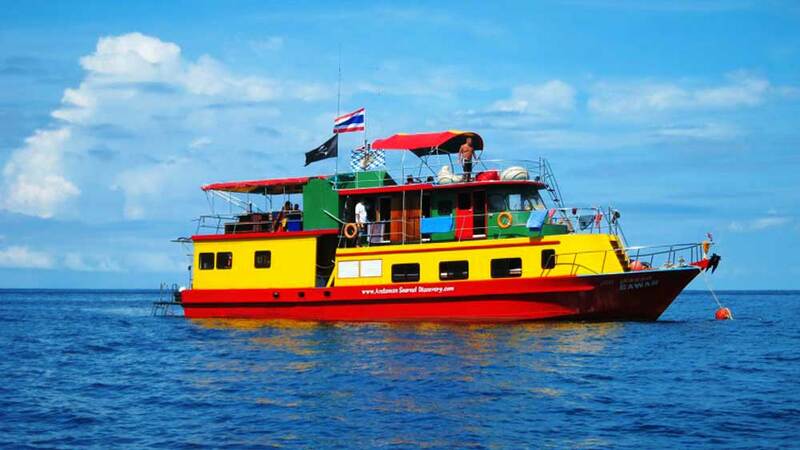 Their boat is the eye-catching Reggae Queen, a boat like no other in the Similan Islands. Similan Snorkel liveaboards on the Reggae Queen are renowned for their attentive crew, delicious Thai food, visiting the best secret snorkel spots, their zaney guides and evenings filled with laughter. What they are most known for, however, is the service that they offer. From the first e-mail to the time you step off the boat on the last day, you will be entirely looked after. A Similan Snorkeling liveaboard with Andaman Snorkel Discovery as described by one customer on Holidaycheck.de. Both Eike and Ralf take an active role in the company. Eike is the brains behind the operation (sorry Ralf!) and she is the one who looks after customers from their first enquiry until they board the boat. If you are stuck for where to stay or are not sure how to get to your accommodation then Eike will be happy to help. Ralf is the hands-on tour leader on the boat, making each trip that much more personal. His presence on the Reggae Queen also ensures that every customer gets the most out of their Thailand snorkeling holiday and that everything runs smoothly. It’s Ralf’s experience and love of these islands in the Andaman Sea that makes the trip truly special. He has adapted the itinerary to include some of the most interesting and yet undisturbed snorkel sites in the Surin Islands. This is the key to what makes the trip so unique. Ralf is extremely passionate about his Surin and Similan Snorkeling liveaboards and also is a big part of what makes the trip so fun and enjoyable. Eike has a lot of experience in the tourism industry in Khao Lak, She has worked as the receptionist of a small bungalow Khao Lak resort and also as a tour guide. After this she started work as a General Manager for one of the biggest tour companies in Khao Lak and also as a holiday representative. 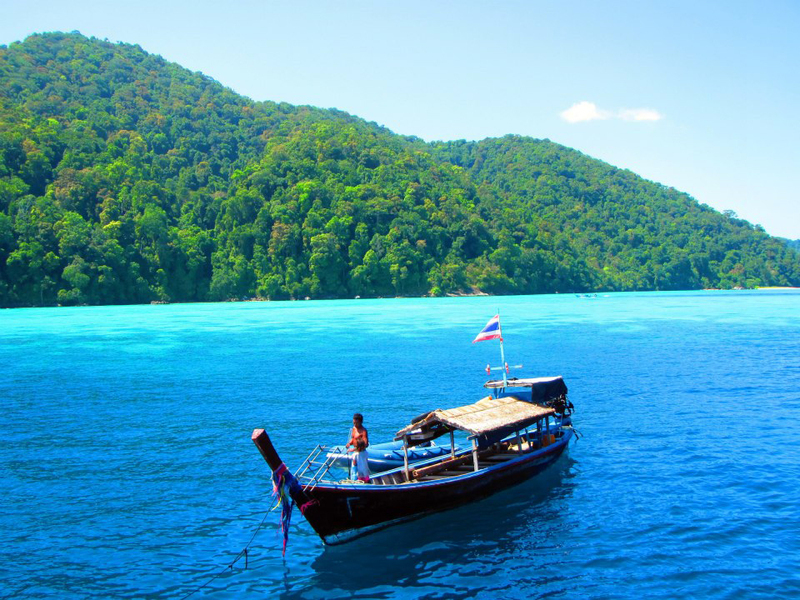 These days you will find Eike in the Andaman Snorkel Discovery office or in one of 2 well known Khao Lak Resorts where she works as a Guest Service Assistant. She is certainly a multi-tasker! 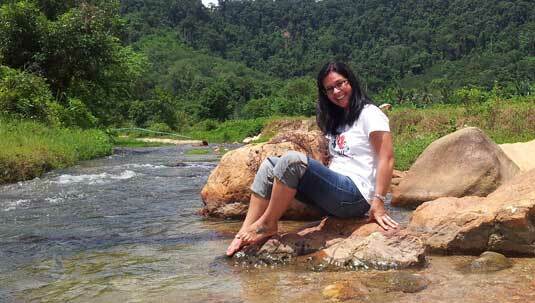 Due to her extended experience and stay in Khao Lak, Eike is the best person to contact for Khao Lak accommodation, restaurant and Khao Lak activity information. She will go out of her way to find the most suitable option for each guest. So if you are wondering where to stay before your Similan snorkeling liveaboard, or are looking for the best Phad Thai in town, you should get in touch with her. 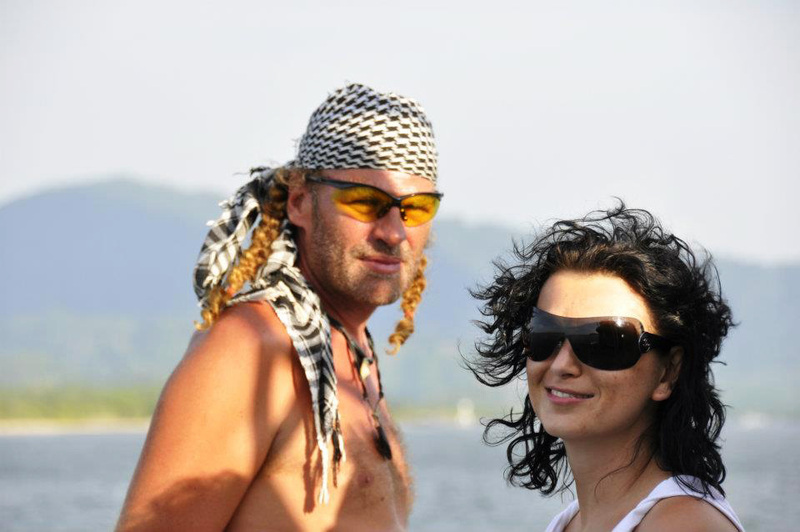 Eike is the one who works behind the scenes for Andaman Snorkel Discovery. She is the person who takes care of bookings and organisation. It is Eike’s excellent service and winning smile that will get your Similan snorkeling liveaboard off to a good start! Ralf is a real hands on guy. He loves dirt bikes and can often be seen around town on his prized possession, his Harley. Back when he was living in Germany he used to take part in Dirt Bike competitions, these days it is just a hobby though. Given the opportunity he will still travel across the country to catch an event. Ralf came to Khao Lak after the devestating 2004 Tsunami. He volunteered in this area of Thailand for a year, helping to build longtail boats in Cape Pakarang. After this he was the owner of O’Connor’s Irish Pub, a favourite meeting point for locals and tourists. Ralf’s entertaining character was a winning formula for the pub, and helped to make it one of the best bars in Khao Lak. Ralf’s character and charitible nature have shaped a Similan snorkeling liveaboard with Andaman Snorkel Discoveries into what it is. His commitment to the Moken is honourable as he often takes second hand clothes and food to the village on Koh Surin. He will also lend a helping hand by offering free transfers from the Surin Islands to Kura Buri and will always use their longtail services to give back to the community when needed. I take care of the ‘Hardware’ and Eike takes care of the ‘Software’.